Cut off your unwanted segments of a video file. Sometimes you may need to resize your video – for example if you have a large video file which is more than 2GB or has a wide screen that you want to watch on the 4:3 aspect ratio screen of your iPod. To help you easily resize video in Mac, Filmroa for Mac is what you need. The program supports all popular video formats, including MOV, MP4, MPEG, AVI, FLV, MKV and WMV. You can use it to resize the video screen in almost any format, as well as reduce video file size if necessary. What to try it out? Check this video below to know about Filmora9 and download it to have a try. In the end, we will offer you a bonus video to let you know the steps about how you can resize video. To start working with Filmroa for Mac, download and install the software on your computer. Then go to Importand select your video file from the media browser to add it to the program. You can also directly drag and drop your video file to the timeline. 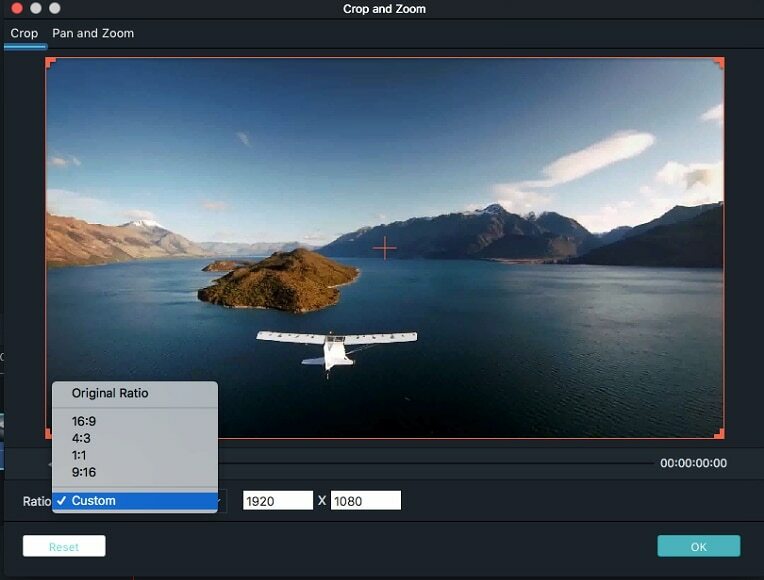 If you want to resize the aspect ratio of the video, highlight the target file and right click Crop and Zoom. In the pop-up window, then you can manually customize the marquee or keep the marquee in 16:9, 4:3, 1:1 and 9:16 aspect radio according to your desire. Then hit the EXPORT button in the tool bar. In the Local tab, choose from a list of video formats that your video file can be converted to. By converting, you can easily get a new video file in different size. 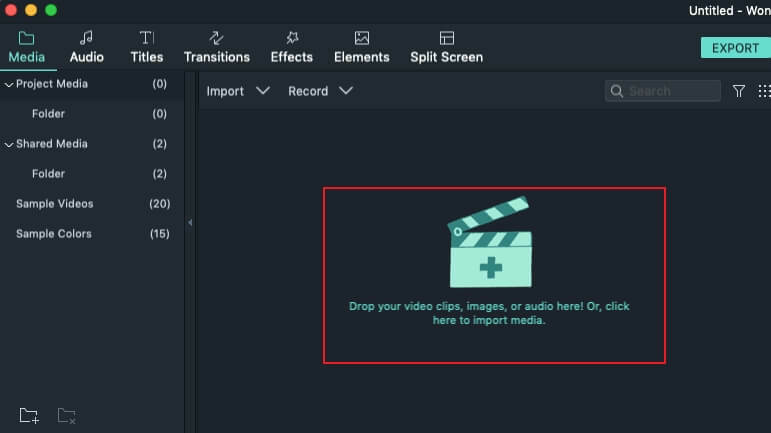 But if you want to keep the original video format,just click SETTINGS to adjust the output options such as Resolution, Bit rate, and Frame Rate to resize your video. After that, name the new video file and select the directory where it will be created as well. Then hit EXPORT and the program will begin resizing the video file. This process may take some time depending on the size and the selected options. When the process is completed, find folder containing the file . Right click on the file and click Properties. Look for the size of the new file. It should be different from the original file. Now you see resizing video is really easy with Filmroa for Mac. Download the program now and try it yourself! Below is a video tutorial for Windows for you, but the steps are the same on Mac.